Whether you want an eclectic look or a way to keep the budget in check, a hybrid timber home offers a variety of advantages. 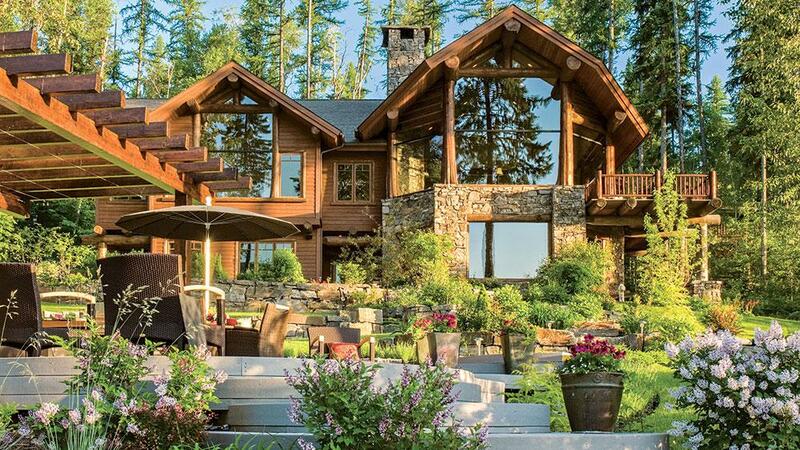 An interesting shift has happened in the log and timber frame home industry over the past several years. Companies that have managed to survive the 2008 financial debacle have had to adapt, and as such, new products have been created, floor plans have been “right sized” and building systems have morphed to become more cost effective, with better energy efficiency and reduced maintenance requirements to boot. The log and timber frame home industry has seen a tremendous increase in what has been labeled a “hybrid home.” The term can be a bit esoteric, but really it’s nothing more than employing a mix of building systems, using log, timber frame, conventional and/or panelized construction to achieve the look, feel and performance we want in our homes today. And for good reason. We don’t want to spend the little leisure time we have maintaining and fixing things in or around the home. We also don’t want to have our conditioned air leaking out of the house, increasing our utility bills. With the popularity of rustic, farmhouse and Craftsman homes, the hybrid solution offers many advantages both aesthetically and functionally. A recent project that my company, Modern Rustic Homes, designed and built incorporated full log walls, timber frame elements and conventional construction to achieve the look and feel the clients envisioned. Also, we were dealing with a difficult site, and this blended building solution allowed us to manipulate the site to our advantage. 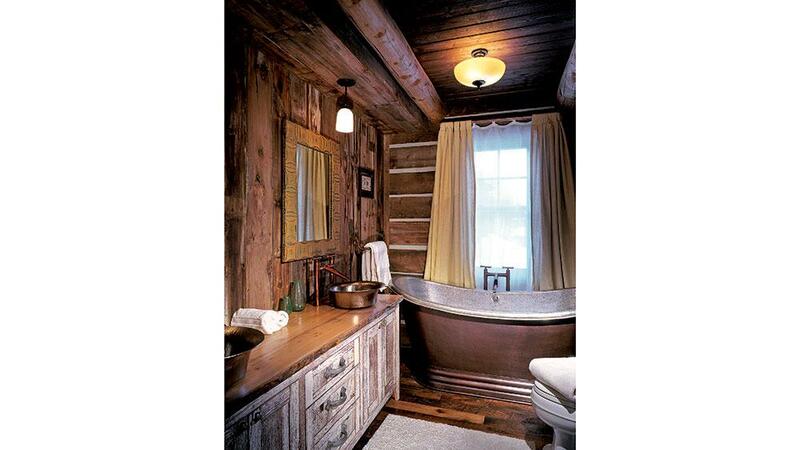 The genesis of this hybrid log-and-timber house came about like so: The husband originally wanted a log house. The wife — not so much. So, love and logic prevailed, and the result was a home they both fell in love with. See also What is a Hybrid? We designed what I labeled the “Lodge Room,” with 12-foot-high log walls on four sides and timber-framed hammerbeam trusses featuring hand-forged wrought iron tie rods. This space alone is spectacular. We attached the Lodge Room to the balance of the conventionally framed house and garage, using stone veneers to make the transitions and fiber cement siding in lap, board-on-board and shake patterns. Heavy timber rafters and beams were installed in the ceilings of the conventionally built portion of the house to complete the look. Another request of these clients was for large windows and doors to let in the natural light. The exterior staircase wall featured an array of 12 windows stacked on three levels of the house to allow natural light to flood the entry, hallway and staircase. It also displayed unspoiled natural plants and the nearby robust mountain trout steam. Craftsman touches were added for built-in benches and storage, and decorative corbels visually supported the rafters and beams. Another advantage of hybrid construction is energy efficiency. By using spray-foam insulation with conventionally framed stud walls or SIPs (structural insulated panels), we can achieve high thermal performance, thus reducing energy consumed to heat and cool the home. Many of my clients express a desire for low-maintenance homes. Here again the hybrid solution provides good options. I mentioned the log walls I used for the Lodge Room, these occupied one level, so we have access to the logs to keep them well maintained. The portions of the house in the gabled ends and dormers that are difficult to reach were veneered in synthetic materials, to reduce the painting frequency. One more consideration: In certain circumstances, hybrids may be a bit more cost effective. This is dependent on many things, such as local labor and materials costs, site conditions, interior selections and architectural design. This much I know is true — if a hybrid is the design choice for you, be sure you deal with a builder experienced in hybrid solutions. Log walls are cut to fit one way, timber frame details are assembled to exacting dimensions and good-quality framing demands the home be plumb, level and square. And they all have to come together seamlessly to be successful. Hybrids are on the rise. You be the judge if this is the right solution for you. If so, the results can be stunning. 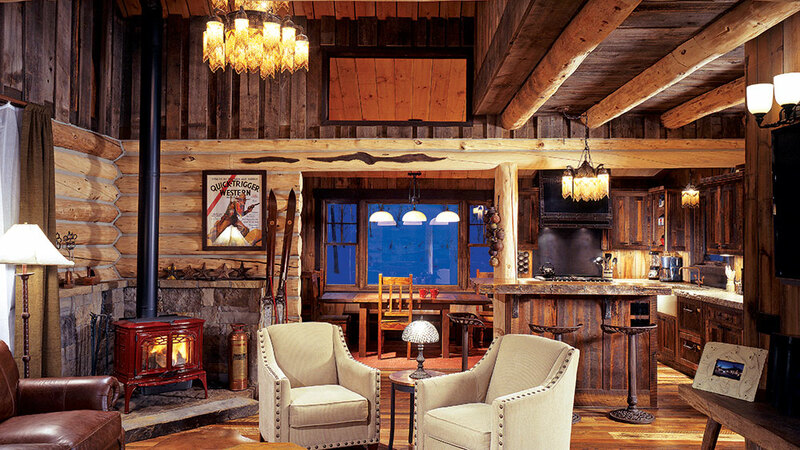 Michael Grant is a prolific log, timber and hybrid-home designer and is the owner of Modern Rustic Homes in Ellijay, Georgia.